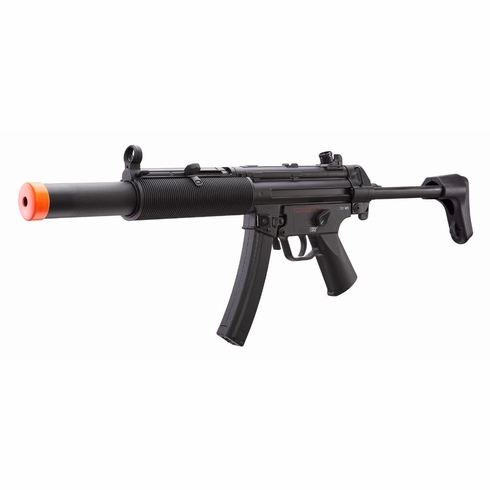 The HK MP5 SD6 is a licensed, authentic replica with a metal receiver and full metal gears. It is meant to be powered by an 8.4V NiMH rechargeable battery. The 200-round magazine will let you fire for a long time between reloads. The adjustable hop-up system and adjustable rear sight allow for accurate aiming and shooting. This package comes with 2 magazines and is wired to the front and rear in the event you would like to add a full size stock in the future.